This review is long overdue. I had a chance to test drive this display a few months ago, and have just gotten around to writing up my findings. I am amazed at what I had been hiding for several months! 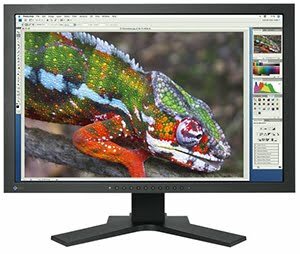 In comparing its profiles with other monitors I have reviewed, the CG243 has the largest gamut of all of them. I am astonished (and embarrassed) that it's taken me so long to bring this out. 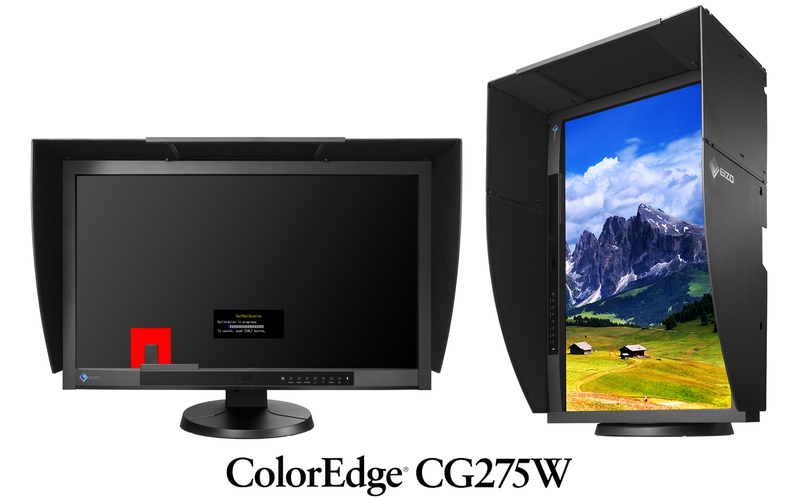 The ColorEdge CG275W is the first 27" hi-end professional model to include automatic self-calibration. Like the CG245W (released in 2010), the CG275W also has a built-in sensor that can be scheduled at any time at any calibration interval. 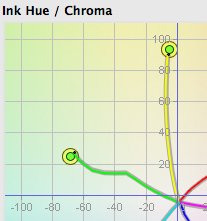 No doubt that the CG275W will set the new standard for high end color accuracy. There is no pricing yet. The CG275W is projected to arrive June or July this year. 10-bit display allows the monitor to show 1.07 billion colors simultaneously from a 16-bit look-up table (LUT), when used with a graphics board and software which support 10-bit output. DVI-D, DisplayPort, and Mini DisplayPort inputs. 850:1, 6 ms gray-to-gray response time and 178° viewing angles. And yes, CHROMiX will carry the CG275W, and all other CG and SX models at competitive prices. The FlexScan SX2762W, ideal for cost conscience color professionals. 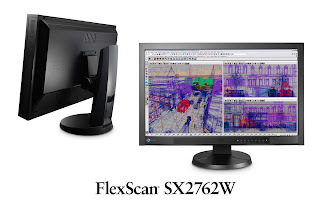 The FlexScan SX2762W will appeal to many users for its competitive price point (guessing around $1200-$1500). Although it has many great features (see below), the SX2762W and other SX models will be the first non-CG series to have the ability to be monitor-hardware calibrated. Monitor-hardware calibration allows the monitor itself to be internally calibrated rather than the computer’s video graphics board. This ensures no color tones are lost in the calibration process and results in more predictable on-screen color. Required for this will be the new EIZO EasyPIX Ver. 2 color matching tool. Easy PIX Ver. 2 includes software and the EIZO EX1 color sensor. And yes, CHROMiX will carry the SX2762W as well as all other CG and SX models at competitive prices.